Legendary singer-songwriter Graham Nash shaped the sound of popular music---first by contributing to the '60s British Invasion movement as a member of The Hollies, then by making famous the harmony-laden Southern California sound with Crosby, Stills and Nash (and later CSNY). This, combined with his stellar solo work, add up to an amazing career that's now in its sixth decade. 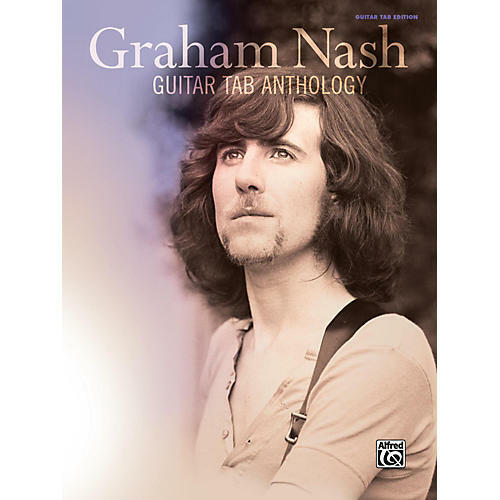 This guitar TAB anthology contains sheet music for 23 of Nash's most loved songs, selected from his entire output through the years. Titles: Another Broken Heart * Better Days * Bus Stop * Carrie-Anne * Chicago * I Used to Be a King * Immigration Man * Just a Song Before I Go * Lady of the Island * Marrakesh Express * Michael (Hedges Here) * Military Madness * Myself at Last * On a Carousel * Our House * Simple Man * Sleep Song * Southbound Train * Stop Stop Stop * Teach Your Children * This Path Tonight * Wasted on the Way * Wind on the Water.